Collecting and restoring old bench planes has become something of a hobby for me recently, or rather, 'obsession' might be more accurate! 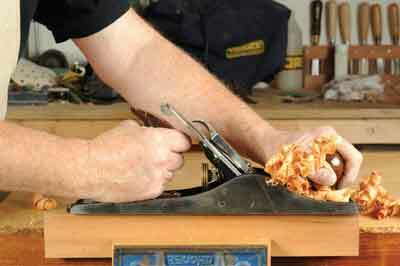 Of all the hand tools there are, bench planes seem the most likely candidates for collecting and restoring. They come in many different sizes, styles and for different purposes. Sometimes the differences are quite subtle but to a collector these can be quite important, the nuances that define the difference between something valuable or interesting and something that is just a rather plain plane, if you will excuse the pun. It helps to understand the lineage and range of the more standard types so you can appreciate what each type is for and how you can use it. To my mind there isn't much point in having a collection if I'm not going to use them, so all mine are kept very sharp, set and ready for action. 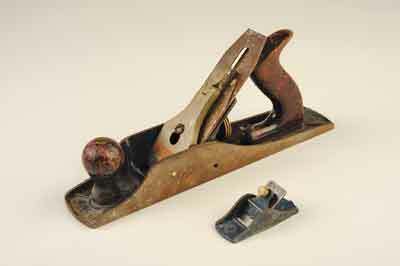 Leonard Bailey invented the modern metal bodied bench plane patented in 1867 which fairly quickly superseded the older wooden models. 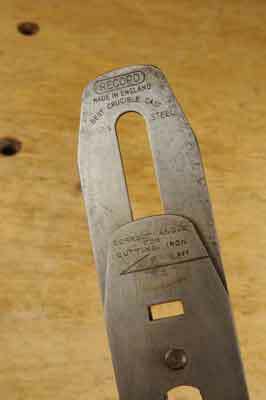 Stanley Rule and Level Company - later Stanley Tools - bought up his design and produce essentially the same design right up to this day, joined early on by other companies such as Bailey's own later Victor brand, C.J. Hampden - Record - Woden, Millers-Falls in the US and many others. 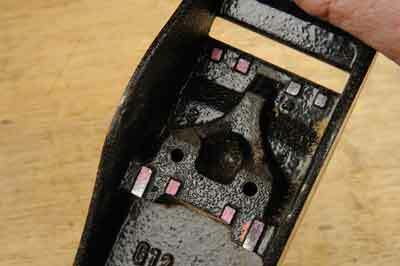 Most use the same numbering scheme to denote plane sizes with Millers-Falls being a notable exception electing to use their own numbering based on the length of the sole. 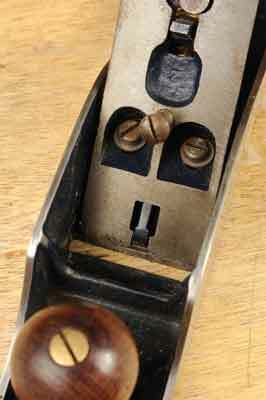 If you really get into plane collecting there are numerous unusual manufacturing variations if you know what to look for. If we concentrate on Stanley bear in mind this list will also mostly apply to Record and others, too. Unsurprisingly the first Stanley production models were No.01, then 02. These are scarce and even copied and are best kept behind glass because of their value. However, for practical purposes we start with the baby 03 model which is a compact narrow smoother. 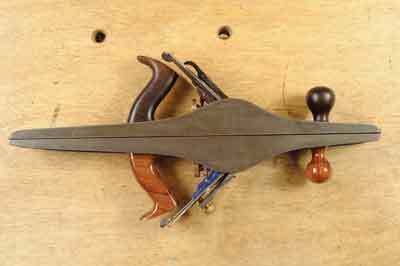 The No.04 is the standard smoothing plane for most of us, often being the first plane purchase; bigger all round and wider in particular than the 03. We can go wider still with a 041/2 to tackle broader surfaces. 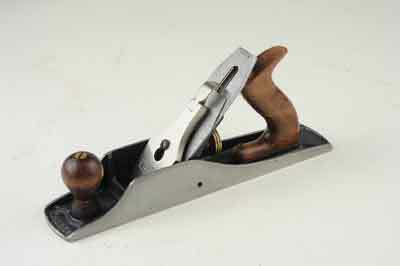 The standard jack plane for general planing work is the 05 with a wider 051/2 also available. You can see a numbering pattern is emerging - the higher the number the longer the plane body with the 1/2 denoting a wider version. 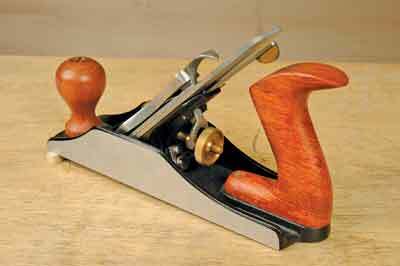 The 06 is the equivalent of a wooden fore plane but sits uncomfortably size-wise, being neither a standard jack or long jointer. 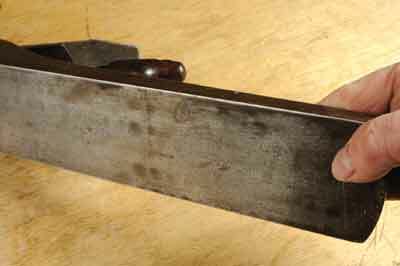 The 07 which I have is an elderly Stanley version which makes much more sense because it is that bit longer if you want to straighten long edges. The biggest size is the 08 which is a monster and needs muscle to get it going and keep it on course, not really to be recommended. 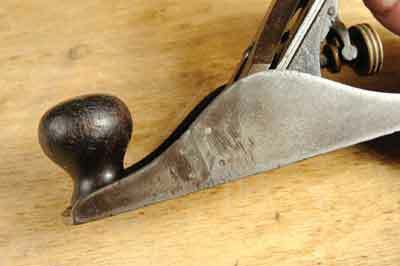 A letter 'C' after the plane number denotes a corrugated sole for working with resinous softwoods. So, what do we need these metal marvels for? 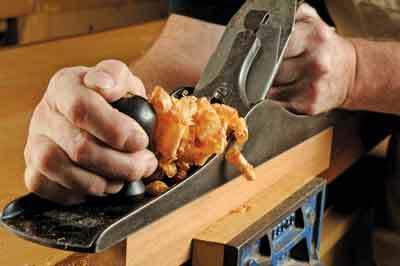 As I stated in my earlier articles we use hand tools nowadays for intervention, not much for originating components. In other words we use machines or buy prepared materials thus saving sweat, effort, waste and heartache. 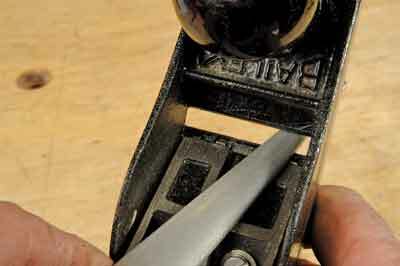 Hand planing then follows on afterwards, resizing and improving the work. 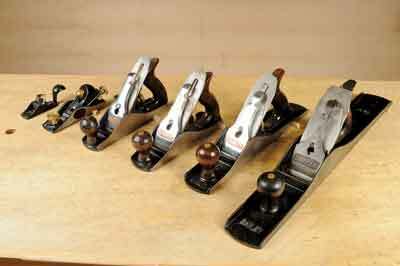 My perfect suite of planes starts with a tiny squirrel tail plane for small trimming tasks such as restoration, an adjustable block plane for small trimming and end grain work, a No.3 bench plane because I like the compactness, a 04 because it suits slightly bigger smoothing work, a 05 for general planing and shooting and lastly, a 07 for those long edges that need to be trued especially for jointing boards together. I make that six bench planes, excluding any rebate for moulding planes. The funny thing is that whether buying new or old it need not cost a fortune; there are some good deals on cheap new planes to be had although the blades may not keep a great edge on them. 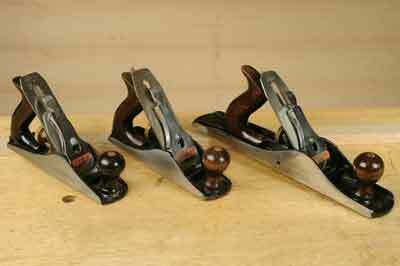 Vintage planes prior to the invasion of plastic handles are better in quality generally, including blade hardness. Antique planes - i.e. turn of the previous century - can be had without costing too much and I have several to prove it. The designs have been modified slightly but the basic design is still fundamentally the same, showing Leonard Bailey got it right the first time! It's easy to buy a 'pig in a poke' and waste your hard earned money. A newish plane can superficially look alright but still have manufacturing defects, while an old rusty plane may be a surprisingly better bet. 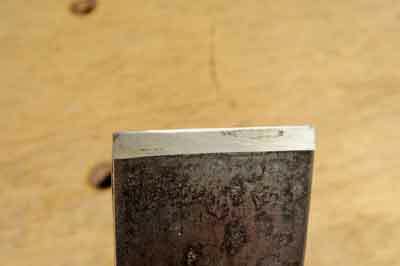 Once the rust is removed there is usually good metal underneath; though pitting in the sole may still be a problem, surface rust is acceptable. 1. Are the castings flat on the ground faces of the plane? 2. Is there serious surface pitting if it is an old plane? 3. Are the side wall castings thick enough if it is a modern plane? On a vintage plane are there cracks? 4. On a vintage plane does the mouth have damage? 5. Does the blade assembly sit naturally square to the mouth or can the frog be adjusted to correct it? 6. Strip down the plane and undo the frog completely; check to see if it sits firmly without rocking. 7. 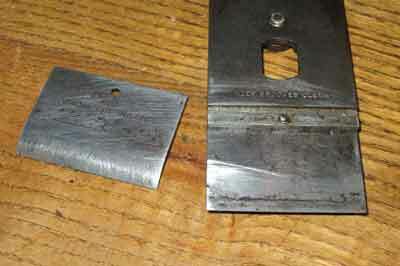 Blades are an unknown quantity until sharpened and used, unless the maker specifies the hardness of the blade - a stamped marking should verify this. 8. If the plane is satisfactory, either with or without any corrective work, the blade can always be changed for a better one. 9. Cheap does not automatically mean poor quality when it comes to planes. Better to learn with less expensive ones and upgrade later if you wish to. 10. 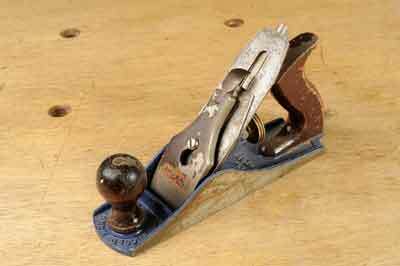 An old plane can be completely restored to make a very workable and presentable tool. In my earlier article we didn't manage to cover upgrading bench planes but now finally I can. 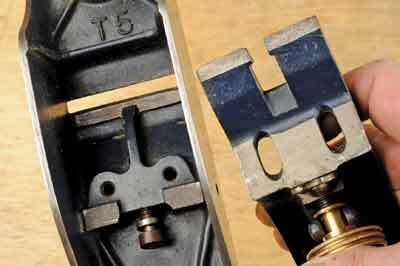 Restoring a plane to a good useable condition isn't upgrading, neither is refinishing or replacing the tote and knob, although it may help. To do the job properly you need to replace the blade with a special modern replacement which has been forged and ground to a specific quality. 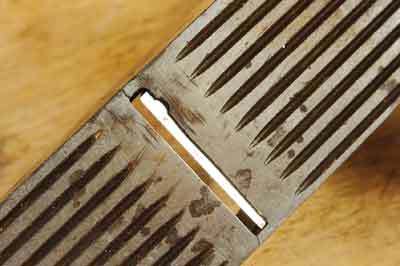 There are a number of these available to suit standard plane patterns but they are not cheap because they are superior steel to the ones they seek to replace. 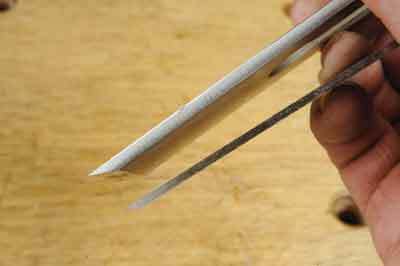 You need to be sure the blade will fit, some are quite thick which then entails laboriously filing the plane mouth at the rear and making sure the frog will go back far enough after this work. The frog itself needs to sit firmly and you can check this using some engineers' marking blue to see where it contacts in the base casting and adjust accordingly until it is a good fit. The areas that remain blue have not contacted each other. 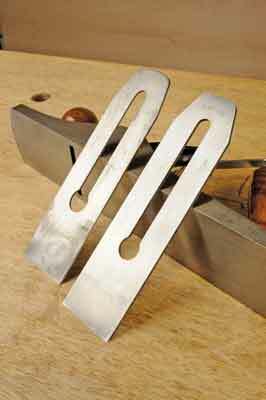 Other replacement blades will go straight in as they are similar to the original blade thickness. 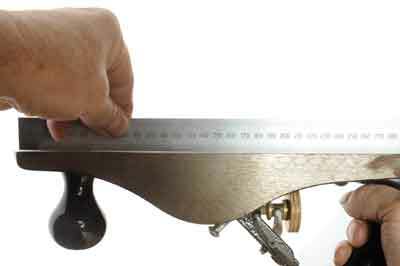 If you intend to fit a better blade then make sure your sharpening technique lives up to the better steel!